We blended certified organic medicinal plant extracts with the proven ability to safely destroy a wide spectrum of fungi with all natural healing botanicals to create Fungal Cleanse Medicated Soap. This antifungal cleansing bar is the world’s only Certified Organic FDA Registered antifungal cleansing agent. There is nothing else out there like. It is the gold standard in healing. Fungal Cleanse not only has incredible antifungal properties, but is also gentle and exfoliating, providing outstanding results to eradicate fungus. Anyone experiencing a fungal infection will benefit greatly with this medicinal soap and our related topical antifungal treatments. When used in tandem, they provide a preventative and curative role to eradicate fungal infections. 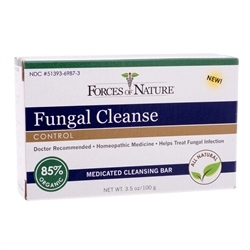 Our unique formula and special manufacturing process of FungalCleanse creates a cleansing bar that is an ideal medium for the dispersion of all natural antifungal agents into the skin. The formulation is based on the wealth of laboratory evidence to support its use as an effective antifungal remedy. 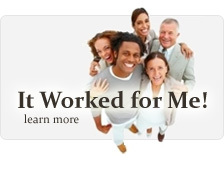 Fungal Cleanse helps kills fungus and is an invaluable antifungal treatment. Results are guaranteed.